The older I get, the better I was. A view on life in the fourth quarter. Just picked up an interesting book called “Alone on the Wall” by Alex Honnold and David Roberts. 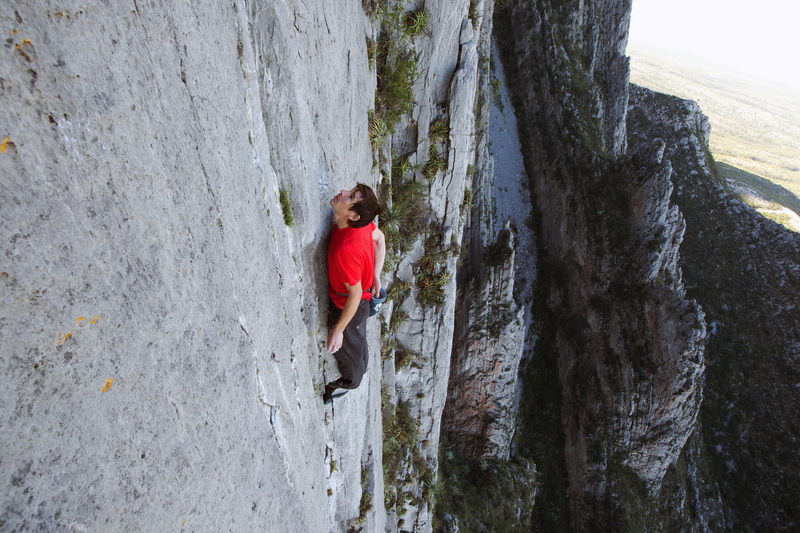 Now, I am not a rock climber but I have been interested in seeing what makes Alex Honnold tick. For those of you who are not familiar, Alex is what the climbing world calls a free solo climber. That being he climbs without the use of harnesses or ropes. He basically climbs rock walls with a chalk bag for his hands and his climbing shoes. That is it. 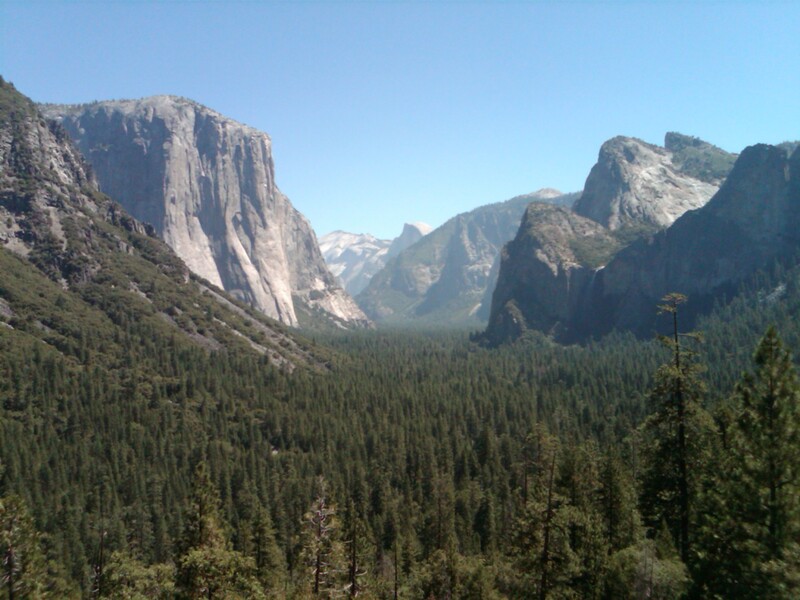 Three weeks ago, he free soloed El Capitan in Yosemite which is one of his many “firsts”. That is 3,000 vertical feet of granite folks. If you have been to Yosemite, and look up the wall of El Cap, you can appreciate what a daunting task it would be to climb that let alone with no protection. You slip, you die. Now I know that Alex has been interviewed many times and has achieved notoriety at 32 years of age. I have also seen interviews of his friends who say he has he ability to shut off fear. He studies the rock problems meticulously before he attempts to do anything and is fully aware of the risks versus the consequences of a fall. But one still has to wonder, why? Anything can happen and no matter how skilled you are, a slight slip of a hand hold can mean certain death. Any of us who are involved in riskier sports can appreciate the risk versus consequence discussion. I don’t participate in anything close to what Alex does, but even in my skiing and mountain biking endeavors, these factors continually weigh into my decisions. As I get older, the consequences become more visible in that recovery is harder when you have an injury. I ride a mountain bike for exercise and not to prove anything. I am very conservative and although I am more confident because of experience, I don’t take any extra chances that would allow me to spend time in the hospital. I always say I ride to ride another day. Funny story is my doctor, Sy Hyder, is one of my mountain bike cronies. I asked him the other day why he didn’t adjust my coumadin dosage when my INR was a little low. 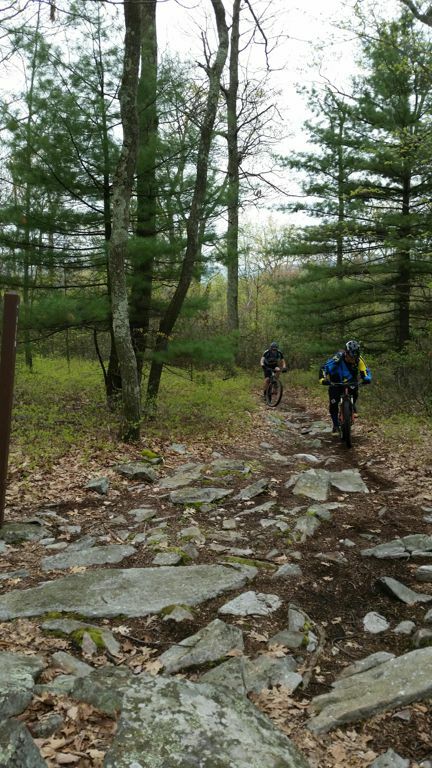 He said,” Paddy- I knew we were riding Frick Park and I didn’t want you to bleed much.” Great when your PC has that kind of insight into his patients. He claims I am his only patient on coumadin who skis and mountain bikes. But he knows how I do it. No blunt force trauma hopefully. The same mindset has become reality for me in skiing. Although I have much more experience in skiing than I have in mountain biking, I still have seen a more conservative approach as I age. 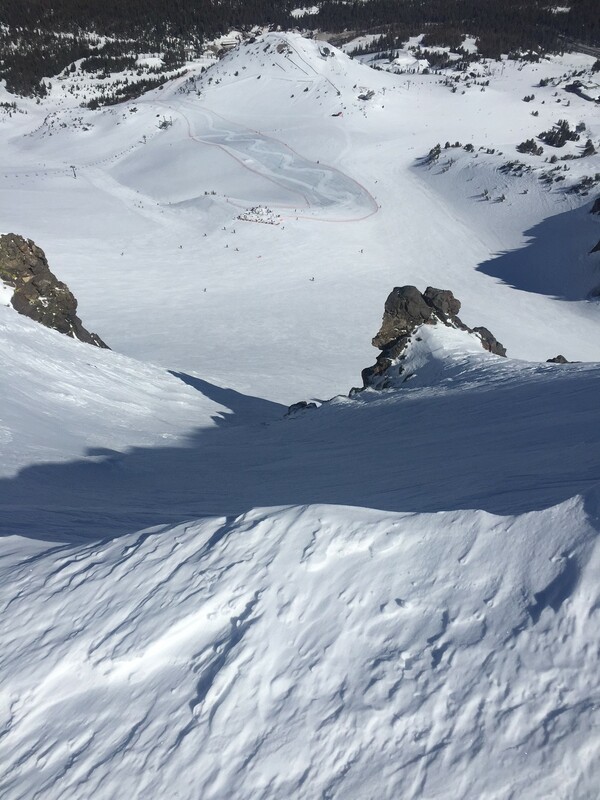 Yes, I still try to ski the steeps and probably ski faster than I should, but as I age, sometimes I look a little longer down that chute to see where my first turn will be or if I want to do it at all. Rock walls are unforgiving and anything can happen on a pair of skis, even when you are in the zone and making great turns. Bravado can lead to consequences if you are not careful. But I only take chances if I know I can probably pull off the end result. As I have posted before,I don’t like heights. Kind of strange for a skier but that is just the way it is. Reading “Alone on the Wall” and looking at Alex above in Yosemite gives me sweaty palms as I type. My fingers are sticking to the keys just thinking about what this guy does. They say youth is wasted on the young and maybe Alex can summon up courage and shut the fear factor off better than most his age or younger. But to me, he takes amazing risks even though he is well prepared in his mind. I read fast so this should be a quick book to finish. But be assured that he makes me think. I admire his feats on the walls of the world but wonder if he can quit before it is too late? Maybe age and responsibility will bring him back to using harnesses and ropes? Even the great climbers of the world agree – begrudgingly. They love the thrill. But the consequences are real. Thanks for reading. This entry was posted in Aging, Climbing, outdoor activities, outdoor sports, Outdoors, Skiing and tagged Alex Honnold, Alone on the Wall, Yosemite National Park. You really have to admire those guys that take those calculated risks and work hard at their crafts. However, sometimes it seems they are like dogs that chase cars, the margin for error is so slim! I will my chances ripping down Whiteface mt. any day! Not in my wildest dreams would I free solo climb. And as to the dogs that chase cars, what would they do if they ever caught one? Thanks for the interesting post Pat. Honnold’s an interesting guy. The thing people tend to overlook is that he does 90-95 percent of his climbing on ropes, only free soloing projects he is completely assured he can do. 3000 feet straight up. I know he is intimately familiar with that wall. But wow. Thanks for reading. Director at Armada Supply Chain Solutions. 40 year Level III PSIA Ski Instructor and Lifetime Honorary Member. Avid skier, mountain biker, and hiker. Married- Janet. Son Jack -24. Started blog to chronicle adventures in 110 different ski areas around the world and discuss cycling and other outdoor adventures.. Also some fun posts about life in the 4th quarter. Enjoy! !